Are you ready for SAP GUI 720 implementation? 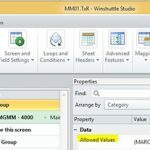 The good news is that Winshuttle Transaction 10.1 works with this version of the SAP GUI but be sure to check which patches you have applied to your SAP GUI installation, at the time of writing the latest available SAP patch was v4.Several customers have recently upgrade to SAP GUI 720 and encountered some unexpected outcomes. Unfortunately many of these could have been detected in advance if the roll out of the new GUI client had incorporated regression testing of Winshuttle products in advance. 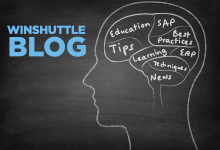 Winshuttle’s Transaction 10.1 works with SAP GUI 720. Customers with their service contracts in a current state have access to this version.Â You should be aware that there have been several patches to SAP GUI 7.20 and the current patch release is v4, so even if you rolled it out a couple of months ago, you may want to make sure that you are using the latest version. For those of you not aware of this topic, see notes https://service.sap.com/sap/support/notes/147519 and https://service.sap.com/sap/support/notes/66971 on the SAP GUI release and platform availability – you may need an SAP service market place ID to access this data. Upgrading to 720 seems to make particular sense to those customers who want to take advantage of new capabilities afforded by the NetWeaver 7.x stack or who have concerns about using the GUI on Windows7 desktops. SAP GUI 720 is supposedly optimized for use with Windows7 and SAP GUI for Windows 7.10 support ends on April 12, 2011 so if you are planning to do the upgrade before official support ends, there are only a couple of months left before the pre-720 releases fall out of mainstream support.